After months of cold weather, it’s so great to be outside, enjoying the backyard of our new house in New England. 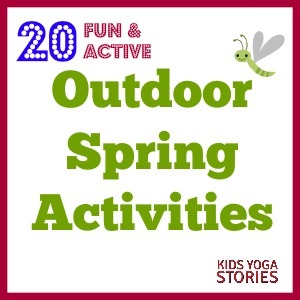 This past month, my daughter and I have focused on learning more about gardens, through books and activities. We have been to the local botanical gardens, visited the nursery to pick out flowers, and planted a flower garden in the backyard. My daughter loves looking for little creatures, too, including chipmunks, squirrels, frogs, dragonflies, butterflies, and inchworms. We even found a snake skin the other day! Today, let’s look at some of our favorite garden books, most of which we found in our local library. 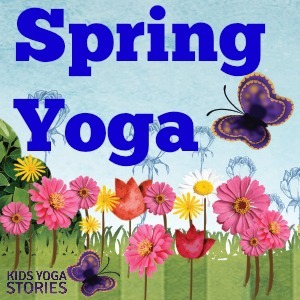 These books might also inspire movement and story through garden-inspired yoga poses while you are reading with your children. 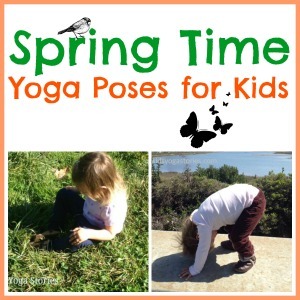 Check out the list of kids yoga poses to see if your children could create their own yoga sequence inspired by gardens. 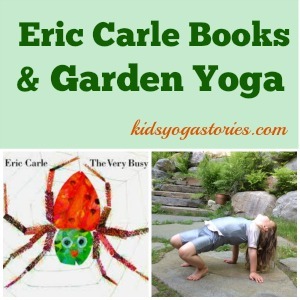 Did you see the garden yoga poses inspired by Eric Carle books from earlier this week? 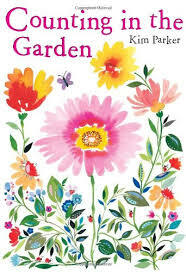 These books are perfect for toddlers and preschoolers interested in learning more about gardens. 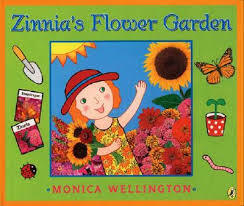 Bold and colorful images illustrate how Zinnia plants her flower garden. 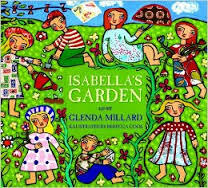 The lyrical, playful text details the different ingredients necessary to grow a garden. 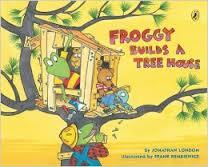 A fun story of Froggy and his friends building a tree house in the backyard. 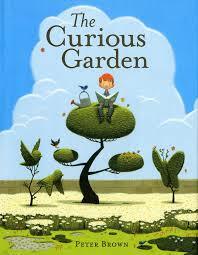 An intriguing story of a boy who brightens the city with gardens. 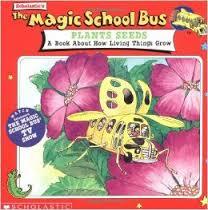 Join Ms. Frizzle’s adventures to learn about how living things grow. 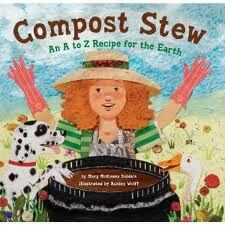 A lovely rhyming alphabet book about what goes into the compost. A girl uses her imagination to create her own dream garden. This delightfully painted counting book brings the beauty of nature to life. 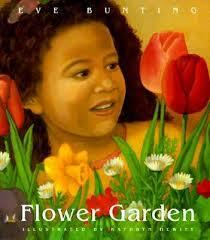 A darling rhyming story of a girl who makes a flower box for her mom’s birthday. 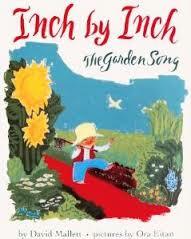 A beautifully illustrated classic folk song to celebrate nature. 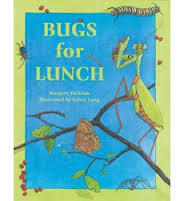 A playful, rhyming book introducing the reader to animals who eat bugs for lunch. 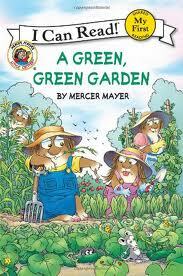 A fun story of Little Critter and his family planting a garden and then eating what they grow. 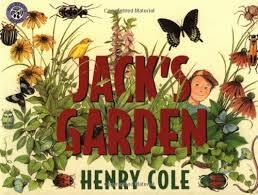 Through playful language, Jack shows the reader exactly what goes into planting a garden. 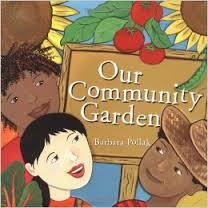 A group of children grow various vegetables in their community garden in San Francisco. 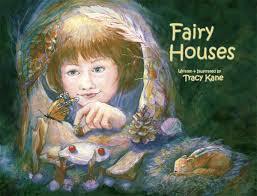 An enchanting story of a girl who builds a fairy house among other fairy houses off the coast of Maine. 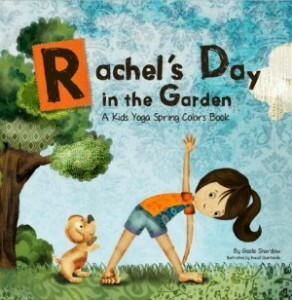 A spring yoga book of Rachel and her adorable puppy looking for signs of spring in the garden. 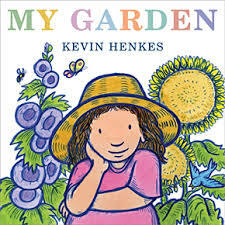 Do you have any other garden books for kids to add to the list? 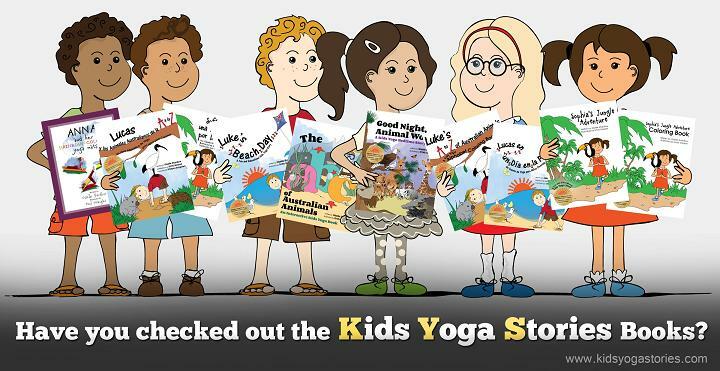 For other book recommendations and kids yoga resources, sign up for our weekly Kids Yoga Stories newsletter. Simply add your email address to the subscription box at the top of the page. 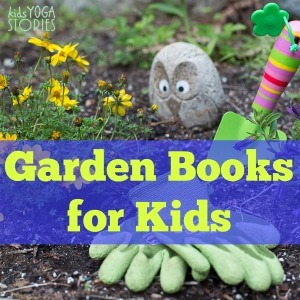 What a lovely assortment of garden-themed books for sharing with young kids! Thanks so much for including my COMPOST STEW… and happy gardening!